This Way North return to WA with their event Sass the Patriarchy; a night of music and empowering discussion that focuses on strategies to continue to improve equality in the music industry. The conversation around the subject of women and gender diversity in the music industry over the past year has been incredibly exciting and has started to have a real effect on the movement towards equality. From bands holding festival directors to account and audience members demanding to see equality on their stages, to the numerous events and movements around the globe in support of gender diversity in the music industry, the momentum behind equality has begun to have a powerful voice. 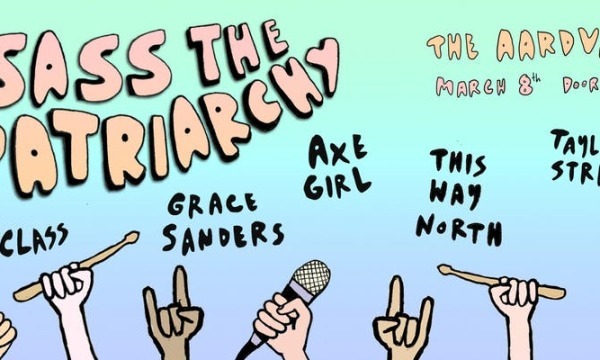 On March 8th 2019 at the Aardvark, Fremantle, Leisha Jungalwalla and Cat Leahy (This Way North) return to WA with their event Sass the Patriarchy, a night of music and empowering discussion that focuses on strategies to continue to improve equality in the music industry. Born in Melbourne, Australia, in 2018, Sass the Patriarchy has been held in Perth, Western Australia, Auckland, New Zealand and Vancouver and Edmonton, Canada. Sass will specifically focus on the year that has been, what improvements have been made and what new and positive strategies can be devised to continue to help the movement progress. 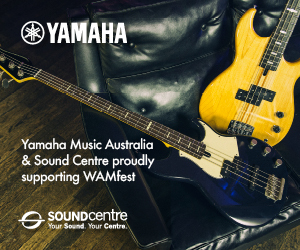 Sass welcomes ALL of Perth’s music community members who want to promote inclusivity and gender diversity in the music industry, coming together to celebrate some of the incredibly talented women and gender diverse artists in the Western Australian music scene. 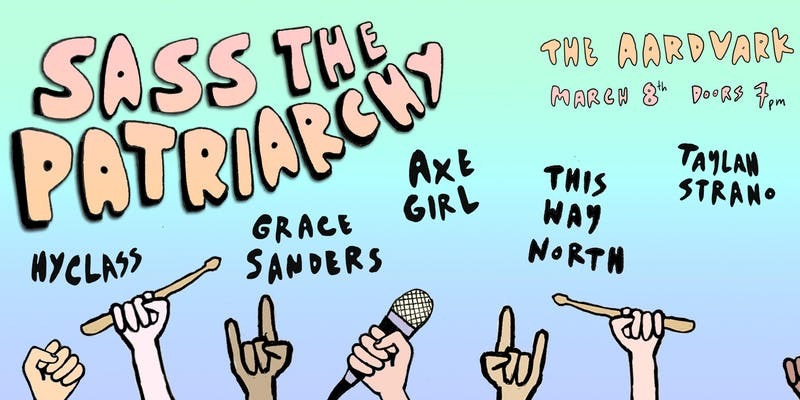 This February’s Sass the Patriarchy will involve stellar local Perth/Freo acts Axe Girl, Grace Sanders and Hyclass plus This Way North. During the night there will be performances and discussions with the artists and audience about the present and bright future of gender diversity in the music industry. 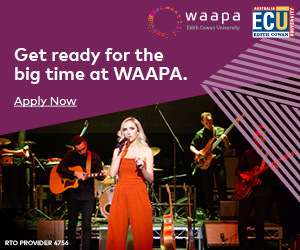 The event will be hosted by RTR Breakfast host Taylah Strano and the panel will include WA music industry members including musician Em Burrows (Perth Girls Rock Camp) and Claire Hodgson (WAM/RTRFM/The Shakeys). Discussion will focus on issues such as equal representation on festival lineups (and all line-ups), how to support more women/ gender diverse people taking industry roles such as sound engineers, producers, radio hosts and managers, and continuing the efforts to make places of work and play, safe and inclusive. Positive, informative, and fun, Sass belongs to everyone who wants to see a positive change. 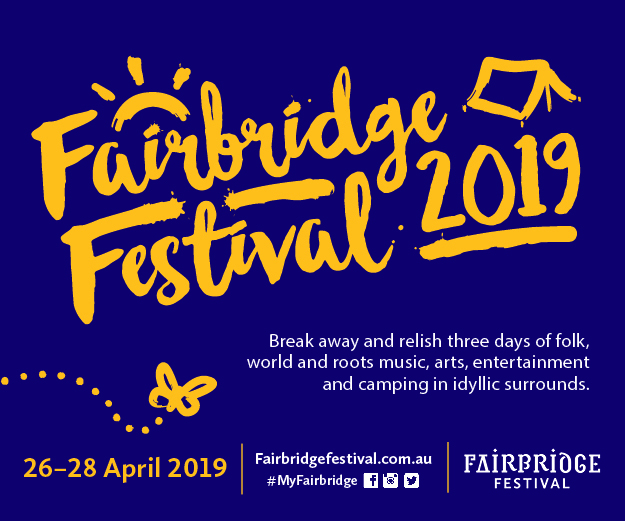 Whether you want to actively participate, have your say, bring your ideas or just listen, this will be a safe and inclusive space to come along and be yourself. There’ll be great live music, short but thought-provoking discussions, cheap beer, and a raffle to raise funds for the International Women’s Development Agency. The Aardvark is an 18+ licensed venue. Valid ID is required for entry.